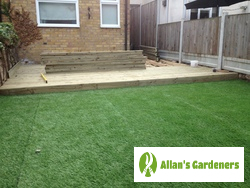 As a landlord or property owner who demands the best, when you're looking for affordable services for garden design in Camden NW3, quality is going to be a big factor. But how can you know when you're hiring the service that's right for you? 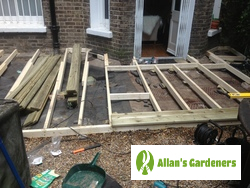 Allan's Camden NW3 garden landscapers will arrive on the day of your appointment on time, equipped with all of the tools needed to get the job done and eager to begin work. They’ll take into account your thoughts and will create a plan that uses every inch of space to its best advantage. Whether you want something low maintenance, a specific theme, a garden to delight the senses, or a safe area for your children to enjoy, they’ll have the ideas and designs to make it work. We've been operating in your area for a number of years, but we also provide our services in a number of other locations, including: Romford, Greenwich, Lewisham, Camberwell, Battersea.